The KALIA (Krushak Assistance for Livelihood and Income Augmentation) scheme of Odisha attempts to respond to this criticism and accordingly promises to include not only land-owning farmers (up to 5 acres) but also tenants and agri-labourers. While land-owning small and marginal farmers, 30.17 lakh in number, accounting for 92 per cent of farming households in Odisha, will get Rs 5,000/family for five seasons, the tenants and agri-labourers (estimated to be 10 lakh in number) who have no land records will get one-time payment of Rs 12,500/family, and vulnerable families (another 10 lakh) will get one-time payment of Rs 10,000/family. With some support for life insurance and interest-free loans up to Rs 50,000, the scheme is likely to cost about Rs 10,180 crore over three years. There is the major challenge of identifying who is a tenant and who is an agri-labourer, as tenancy is not legally allowed in Odisha. So, no legal records exist. Only time will tell how efficiently this identification is done. But given that it is just a one-time payment for them, it will have only a limited impact. Efforts are on to ensure that first payment is made in January 2019 itself. It is important to track and evaluate the performance of these two schemes (Rythu Bandhu and KALIA) as they have not only important budgetary implications but are also a pointer towards a new policy innovation. West Bengal and Jharkhand are also moving in this direction, and media reports suggest that Centre too is contemplating a variant of a similar scheme. If it does so, it would indicate a tectonic shift in policy from promising higher MSPs or loan waivers to direct income/investment support to farmers. This shift will be better for the country as it is more predictable and less market distorting. Macroeconomists and investors, however, are worried about how much this will cost. Will it be fiscally sustainable? What impact will it have on investments in due course? Will these election time “doles” do more harm in medium to long term? Is India not becoming a welfare state even before generating enough wealth? All these concerns are very legitimate and need some discussion. Let me elaborate. In several pieces in this newspaper in recent months, I have indicated these are not “doles” but atonement for not reforming agriculture sector, especially its marketing and trade policies, which remain highly distorted, restrictive and pro-consumer, often at the cost of farmers. One of the key findings of a mega ICRIER-OECD study on agricultural policies in India (2018), which I co-lead with Carmel Cahill for more than two years, is that the producer support estimate (PSE) for India was minus (-) 14 per cent of gross farm receipts, on an average for the years 2000-01 to 2016-17. What this implies is that Indian farmers have been “implicitly taxed” through restrictive marketing and trade policies that have an in-built consumer bias of controlling agri-prices. If one calculates the sum involved in this “implicit taxation”, it amounts to Rs 2.65 trillion (lakh crore) per annum, at 2017-18 prices, for 2000-01 to 2016-17. Cumulatively for 17 years, this comes to roughly Rs 45 trillion at 2017-18 prices. No country in the world has taxed its farmers so heavily during this period. This is nothing short of plundering of farmers’ incomes. 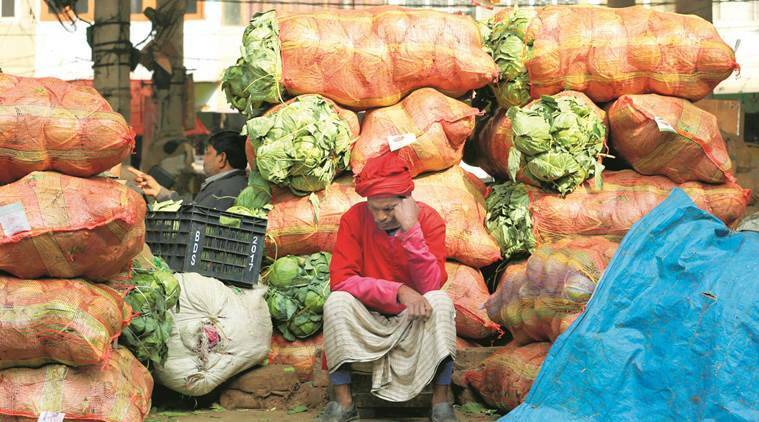 Until India reforms its agri-marketing laws and frees agri-markets, it is time to atone through a structured and stable income policy for farmers for at least the next five years. It may be worth noting that the PSE methodology is a standard one that OECD adopts for 52 major countries that produce more than three-fourths of the global agri-output. And these numbers have gone through a rigorous review by OECD members and others at a global level and are now in the public domain.